Final Fantasy XII: The Zodiac Age (game, 2006). A fantasy role-playing video game by Square Enix. Developed by Square Enix, FINAL FANTASY. Official Trailer. Final Fantasy XII: The Zodiac Age is a fantasy role-playing video game by Square Enix, developed by FINAL FANTASY and Square Enix. 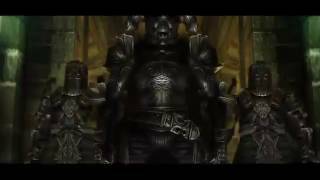 Final Fantasy XII The Zodiac Age - Tokyo Game Show 2016 Trailer. Final Fantasy XII is set within the land of Ivalice during an age when "magic was commonplace" and "airships plied the skies, crowding out the heavens". At this time, magicite, a magic-rich mineral, is commonly used in magic spells and in powering airships - a popular form of transportation in Ivalice. Ivalice is divided into three continents: Ordalia, Valendia, and Kerwon. Ordalia is located in the western part of Ivalice. The Rozarrian Empire makes its home in the vast inland plains of this continent as the eastern portion of it is largely desert and "jagd" - lawless regions so rich in Mist, the ethereal manifestation of magicite, that airships cannot function. Valendia is the home of Imperial Archadia, where lush highlands dot the landscape. Central to the story is Dalmasca, a small kingdom between the two continents and empires. Located in the middle of the Galtean Peninsula of Ordalia, Dalmasca is surrounded by an expanse of desert. The temperate climate of Dalmasca differs from the cold environs of Kerwon to the south and the lush plains of Valendia and Ordalia. During this time, Ivalice is beset by the pending war between the forces of Rozarria and Archadia. Caught between the two powerful Empires, Dalmasca and a number of smaller nations have already been subjugated by Archadia two years before the game begins. 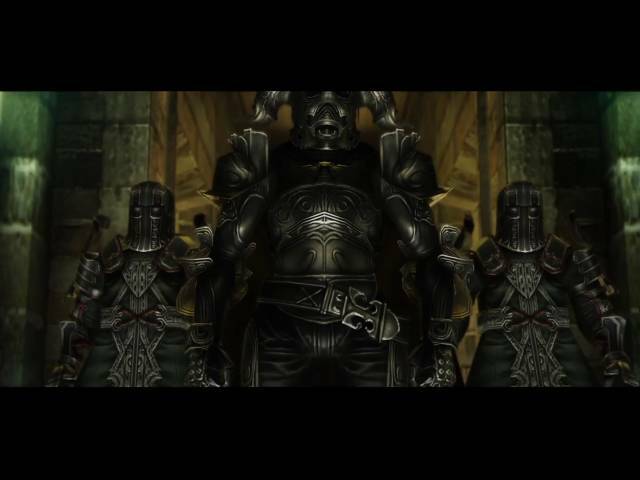 The six main playable characters in Final Fantasy XII are Vaan, an energetic orphan of Rabanastre who dreams of becoming a sky pirate; Ashe, a determined princess of Dalmasca who lost her father and her husband in the Archadian invasion; Basch, a disgraced knight of Dalmasca charged with treason for slaying the king; Balthier, a gentlemanly sky pirate who pilots his airship, the Strahl; Fran, Balthier's partner and a Viera exile whose knowledge extends to legends and myths; and Penelo, Vaan's childhood friend who accompanies him on journeys to "keep an eye on him". Throughout the game, the player directly controls the on-screen character from a third-person perspective to interact with people, objects, and enemies. Unlike previous games in the series, the player can also control the camera with the right analog stick, allowing for a 360° view of the surroundings. While in towns and cities, the player may only see from the perspective of Vaan, but any character may be controlled in the field. The world of Final Fantasy XII is rendered to scale relative to the characters in it; instead of a caricature of the character roaming around miniature terrain, as found in the earlier Final Fantasy games, every area is represented proportionally. The player navigates the overworld on foot, Chocobo, or by airship. Players may save their game to a memory card using save crystals or gate crystals, and may use the latter to teleport between gate crystals. An in-game bestiary provides incidental information about the world of Final Fantasy XII. 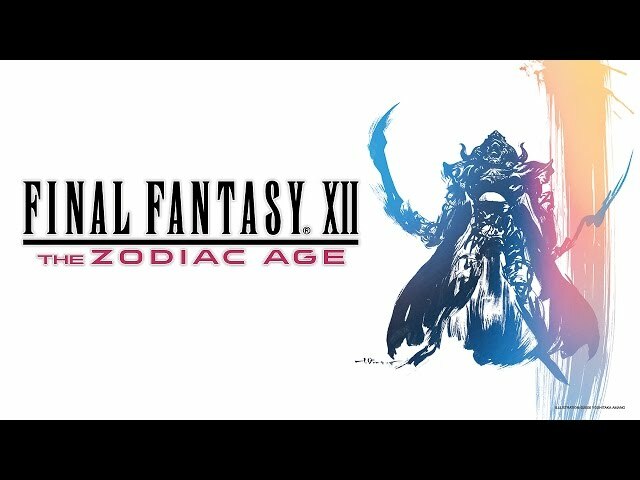 Final Fantasy XII: The Zodiac Age was scheduled to be released by Square Enix on March 16, 2006, on October 31, 2006, on February 22, 2007, on February 23, 2007, on August 9, 2007, on July 11, 2017, on July 13, 2017, on February 1, 2018, on February 2, 2018 and in 2019. This video game is available for the following platforms: PlayStation 2, PlayStation 4, Microsoft Windows, Nintendo Switch and Xbox One.